Alfredo Arcano will bid to record his third win of the season when he lines up in the Follow Tipperary On Facebook Handicap. Successful at the Curragh in June, and Dundalk last month, the David Marnane-trained four-year-old has to contend with top-weight here off a career-high mark of 90. Rapid Reaction, who is a half-sister to smart sprinter Katla, is at the other end of the handicap, but is not without her chance. She is tried in blinkers for the first time, with Andrew Slattery taking a valuable 7lb off. Handicap debutants Fille Du Septembre and Amthaal are interesting contenders, while another good run can be expected from the consistent eight-year-old Abstraction. 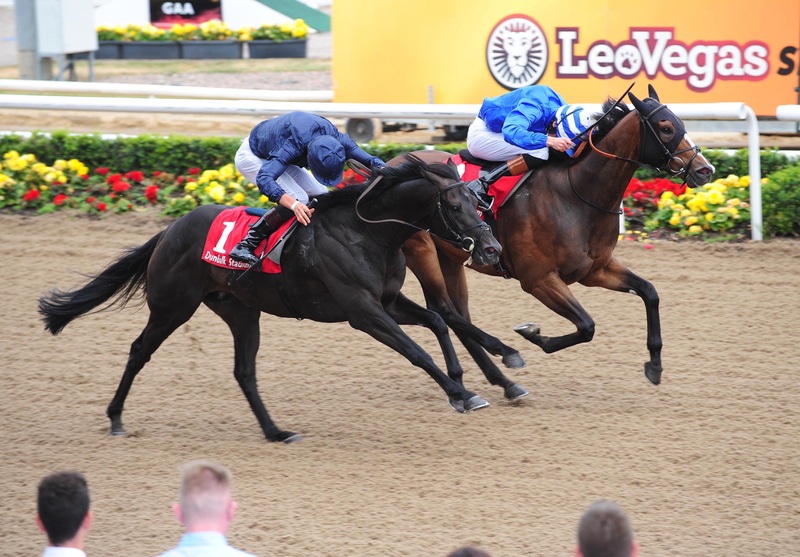 Joseph O’Brien trains Amthaal and he is represented by Rest Bay in the Racing Again 30th August Nursery Handicap. Placed on his penultimate start at Down Royal, this son of Dandy Man looks to have solid claims in what is a wide-open contest. Navan winner Sakura and top-weight Yolo Again are likely to prove popular with punters in this five-furlong heat. Johnny Murtagh is responsible for the latter and he saddles Lord Rapscallion in the opening Foran Equine Irish EBF Auction Maiden. A good second at Naas last month, the grey colt disappointed last time out at Fairyhouse, but might be able to bounce back here with Denis Linehan taking 5lb off. Here For The Craic, who lines-up in the Toomey’s Applegreen Filling Station (Ladies) Handicap, is another who failed to fire recently. A good third in the Ladies Derby at the Curragh, the now 11-year-old has since finished down the field at Galway. An improved performance can be expected from him now, with Miro, Universal Focus and Galtymore other leading hopes. Colin Keane is an interesting jockey booking on handicap debutant Royal Admiral in the ultra-competitive @TipperaryRaces Handicap, while Julienne appears the one to beat in the www.tipperaryraces.ie Fillies Maiden.